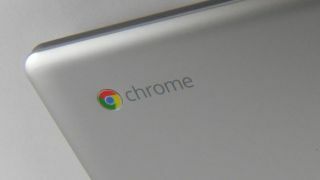 Google Chrome has come a long way, and the search company seems intent on making sure it's the most safe and stable browser out there. For some time Google has offered monetary bounties to users who discover bugs and vulnerabilities in Chrome, and now they're upping the max reward by a factor of three. Previously bug hunters could earn up to $5,000 (about £3,000, AU$5,700), but they've upped that to $15,000 (about £9,200, AU$17,200) for users who discover new exploits, which at this stage in Chrome's lifespan may be harder than it sounds. Bonus points - and more money! - go to anyone who can show exactly how a vulnerability could affect other Chrome users, Google says. "As Chrome has become more secure, it's gotten even harder to find and exploit security bugs," Google wrote in a blog post. "This is a good problem to have!" It should be noted that Google has always reserved the right to hand out as much cash as it feels like to these hunters. As the company points out, it gave someone $30,000 (about £18,500, AU$34,300) in September "for a very impressive report." Hopeful code sleuths can head to Google's Chrome security hub for more details on exactly how to eke the most cash out of their discoveries.